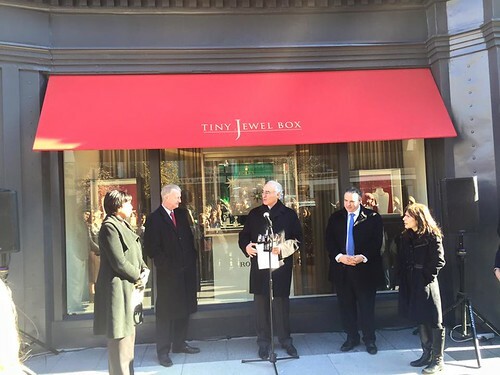 Iconic Three Generation Family Owned & Operated Business Tiny Jewel Box Cuts the Ribbon! 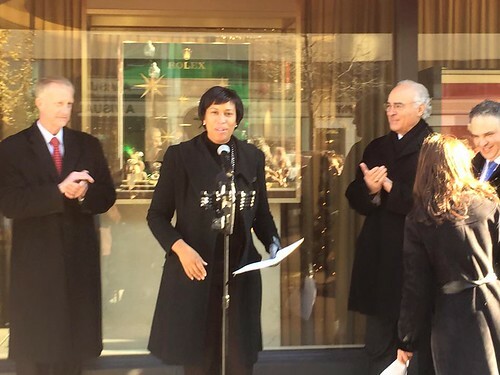 With blue skies in the background, Tiny Jewel BoxÂ CEO Jim Rosenheim, his son, President Matthew Rosenheim, and city officials including Mayor Muriel Bowser,Â Chairman of the D.C. Council Phil Mendelson, longest seatedÂ Council Member Jack Evans of Ward 2 andÂ Golden TriangleÂ Business Improvement District Executive Director Leona Agouridis, who emceed, gave gracious and appreciative comments on the history of the business, from a tiny breezeway with no running water to today’s grand space, one of the largest jewelers in the country. From dignitaries to politicians to celebrities to generations of Washington families, this company has served a host of clients and made all feel welcome and like a part of their own family. 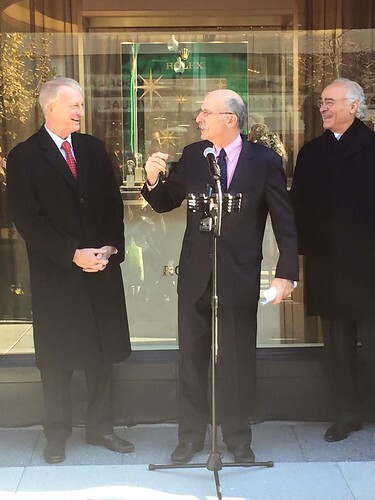 The message about the Golden Triangle from the speakers is that this is what they hope to be our own Rodeo Drive, where visitors and Washingtonians alike will come to shop. Tiny Jewel Box is helping to lead the way in this effort with its expansive stunning space. Stop by and check out the new digs. Next weekend expect a few more designers to be in from around the country to share why they are a part of this family too.